2016 was a busy year (so far) for manufacturers, with a bunch of new devices announced - Amlogic S905 being by far the most popular. So many that in fact it's hard to keep track of the best deals - but that's why you came here, no? So let's take a look at a list with some of the most attractive offers available now. Update - Gearbest runs several interesting promotions right now in celebration of their anniversary. There are good offers not just on mini PC's but also on mini PC accessories like this $8 airmouse with qwerty keyboard or this inexpensive 32GB micro SD card. With money saved you can get yourself a fancy router (dual core, 512MB of RAM, up to 1800Mbps WAN to LAN speed). Sunvell T95 appeared in several "best deals" kind of articles here on Mini PC DB, but never at such a low price - currently just $35. We briefly covered it here and initial reviews reveal that the devices does not have Bluetooth and dual-band wi-fi. Still, $35 for an Amlogic S905 device with aluminum casing is a good deal. The Cherry Trail Z8300 device is now available for just $107. You get an Windows 10 Mini PC with dual band wi-fi, USB 3.0, and Gen 8 Graphics. Sadly just 10/100 Ethernet. Another Mini PC we talked about on MiniPCDB, Beelink M18 is powered by Amlogic S905 and comes with 2GB of RAM and 16 Gb of eMMC storage. 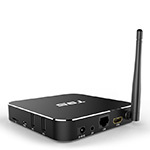 Beelink M18 is now available for $57. 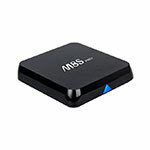 This Amlogic S905 Mini PC is currently in a flash sale on Gearbest - but we do have a coupon code that will bring the price below the $40 price tag (use coupon MIM8S). It comes with 2Gb of RAM and 8GB of eMMC storage. 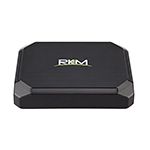 You'll get the HDMI 2.0 with [email protected] output in a small 11 cm x 11 cm x 1.7 cm. Link to the Mini M8S on GearBest. We haven't covered any RockChip RK3368 devices in quite a while, but it looks like the SoC is still going strong, M8S Pro was just launched. Octa core CPU and PowerVR G6110 GPU (up to 700 Mhz) are enough to render 10-bit HEVC and 4Kp60 while the dual-band will help with transfer speeds. It comes with 2Gb of RAM and 8GB of Nand storage. Link to the M8S Pro on GearBest. 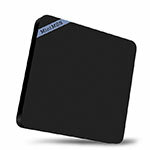 Use coupon code GBM8S to drop the price to $60.99. You know a device is vey cheap when it's costs comes close to the shipping costs - one of them is MX4. 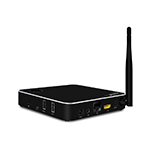 For just below $30 you get a mini PC a 4K-capable/HDMI 2.0/H.265 Mini PC with 1Gb of RAM and 8GB ROM. Link to the MX4 on GearBest (currently at just $28 - flash sale). 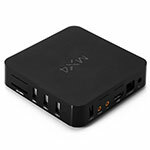 Have you bought on of these cheap mini PC's? Why not leave a comment to share your experience!